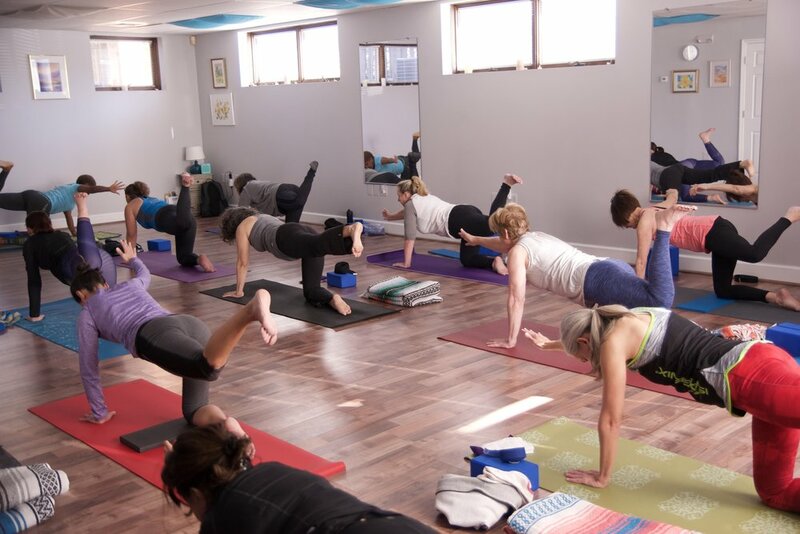 I’ve been doing yoga for decades and your studio is the most welcoming one I have found yet. And I have been to many. I love the size of the classes, the ease of the registration system, and the friendly community I encounter every time I come in. I have loved EVERY class. Thank you for doing this! We really needed a studio like this in the Springfield area. Breathe is an important part of my life. Sometimes it is hard to fit in riding and attending classes, but when I do both I am happiest. Believe it or not, this little old body was throwing a 50 pound bike suitcase on and off trains while wearing a 22 pound backpack throughout the trip with no repercussions. We used every ounce of weight restriction when packing for a two-week trip. I am so grateful Breathe classes and instructors helped me get in shape for my epic adventure. Whenever I attend Michelle Moreland’s Core and More class it is like having a physical therapy session. Through a flexible teaching approach along with a variety of props and exercises, she addresses whatever is a problem area that day for me or other students. All this while we have fun working out!